FACT CHECK: Does This Photograph Show a Park Covered with Spider Webs? Does This Photograph Show a Park Covered with Spider Webs? 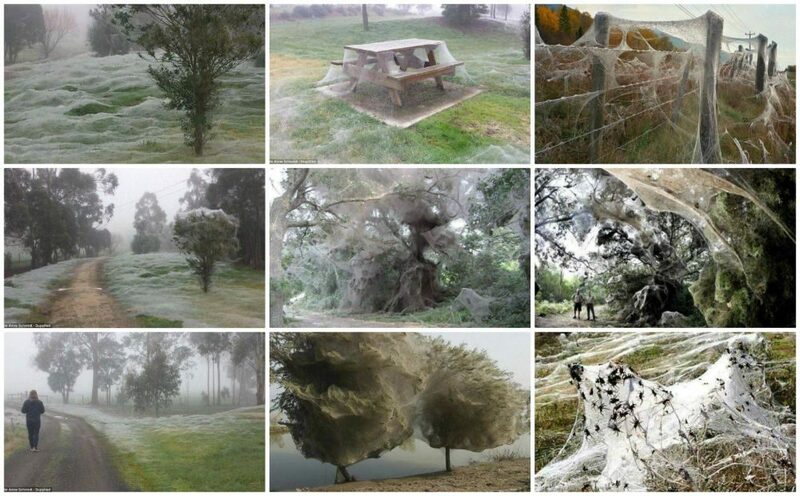 A photograph of an Australian park covered in spider webs is real and shows the result of a "mass ballooning" event. 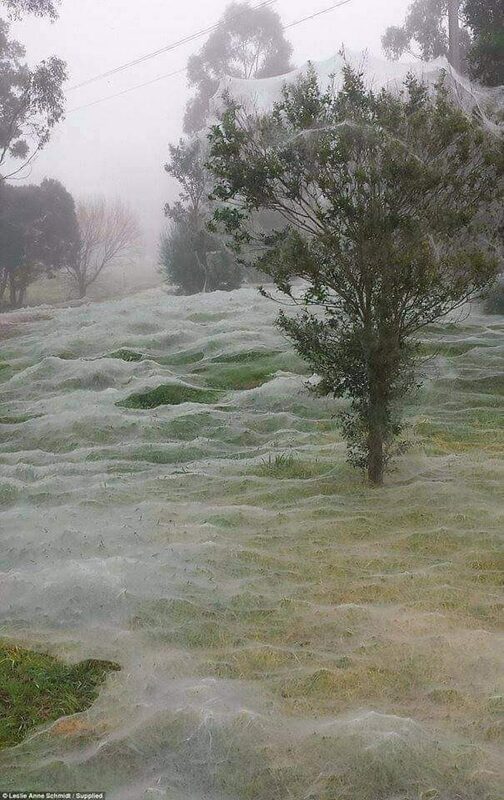 A photograph show park ground in Australia covered with spider webs. This image is genuine, one of several photographs taken in July 2016 by a couple of Pokémon Go players who stumbled across a field covered in spider webs while searching for a “Meowth” in a park in Yinnar, Victoria. It’s a natural migration phenomenon called Angel Hair, and one South Australian retiree Keith Basterfield is keen to hear more about. “What happens is that during a particular time of the year, particularly in May and August, young spiders in the Outback somewhere throw these threads of spiderwebs up in the air and use them as a parachute to detach themselves from the ground and move in large colonies through the sky,” Mr Basterfield explained. “They fly through the sky and then we see these falls of spider webs that look almost as if it’s snowing. “The behaviour is called ballooning — that is how they disperse,” Graham Milledge, entomology collections manager at the Australian Museum in Sydney said. Flood events typically trigger mass ballooning events. “They often do it as a way of dispersing and getting into a new area but, in an event like this, they are just trying to escape the floods,” Mr Milledge said. The unprecedented flooding in Pakistan in the latter half of 2010 disrupted the lives of 20 million people, but it also affected the country’s arachnid population. With more than a fifth of the country submerged, millions of spiders climbed into trees to escape the rising floodwaters. The water took so long to recede, the trees became covered in a cocoon of spiderwebs. The result is an eerie, alien panorama, with any vegetation covered in a thick mass of webbing. In the spring and fall, millions of juvenile spiders crawl to the highest points of their habitat — say a fence pole, or a tall plant — and send out silk strands that allow them to be lifted on air currents. The strands act “a little bit like a hot-air balloon,” says Blackledge — hence the name for the behavior, ballooning. This means the spiders “go wherever the wind takes them,” allowing their populations to spread. The vast majority of these high-flying arachnids will die during the journey, eaten by predators or killed by harsh weather conditions. But only a small fraction need to survive to set up shop in their new home. The Verge. 28 November 2015. Goulburn Post. 13 May 2015. National Geographic. 24 November 2015. BuzzFeed News. 14 July 2016.